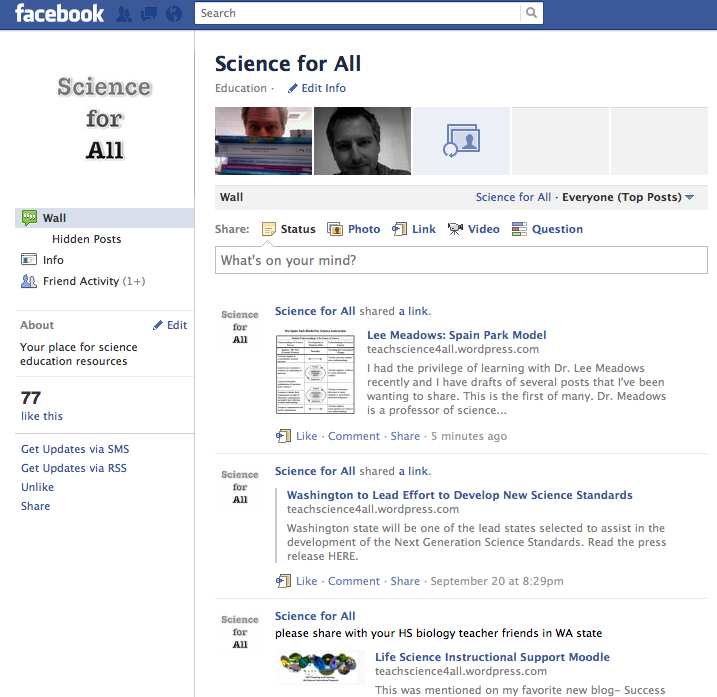 You can become a fan of Science for All on Facebook by clicking LIKE on the Science for All page. This will give you Science for All updates in your Facebook newsfeed. Click HERE to become a fan. This entry was posted in fun, K-12 General Science. Bookmark the permalink.